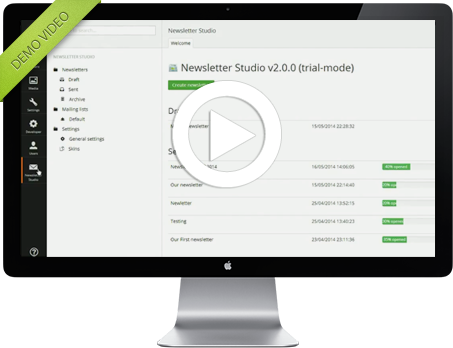 Newsletter Studio is a Umbraco package that makes it possible to send out newsletter campaigns from the backoffice of Umbraco. It’s simple, it’s smart and it’s integrated. No more exporting and importing of receivers and no new system to learn – if you love Umbraco you´ll love Newsletter Studio. system. It's just there - and easy! Newsletter Studio has been around since 2011 and is always updated to support the latest Umbraco releases. We work hard to include requested features and provide fast and friendly support for our customers. 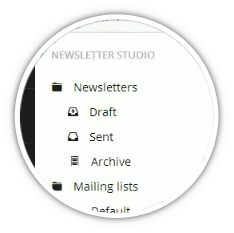 Newsletter Studio looks and feels like the other parts of Umbraco. It has it's own mailing lists but also supports sending to Umbraco site members or to any other source using a custom subscription provider.